In the world where every person needs mobile and tablet applications to perform most tasks in the day, how can we forget about the airline pilots? Over a range of platforms, over 1 million applications exist and out of these, a few are dedicated to all those individuals who are airline pilots by profession. These apps can help a pilot in his/her profession and thus prove to be handy in various circumstances. App market is full of apps meant for and designed for airline pilots. However, since there are so many of such apps, deciding and selecting the best ones can prove to be tricky. Therefore, for your convenience, we have picked out one of the beautiful app, Flying Circle - your pilot network. What is Flying Circle - your pilot network? Flying Circle - your pilot network is a social networking platform dedicated to people from the profession of aviation (pilots). It has an integrated flight log combined with media integration and many other amazing features. This app is doing great efforts to enhance the flying experience of pilots and making it more interesting. · It offers instant messaging features to the licensed pilot and flight students. 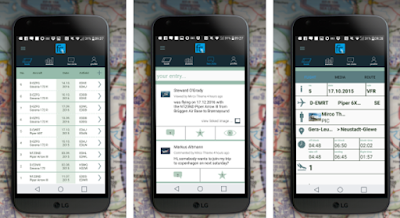 · By using this app, pilots can find new flight friends to join their next flight. · You can easily record your flights and upload its pictures. 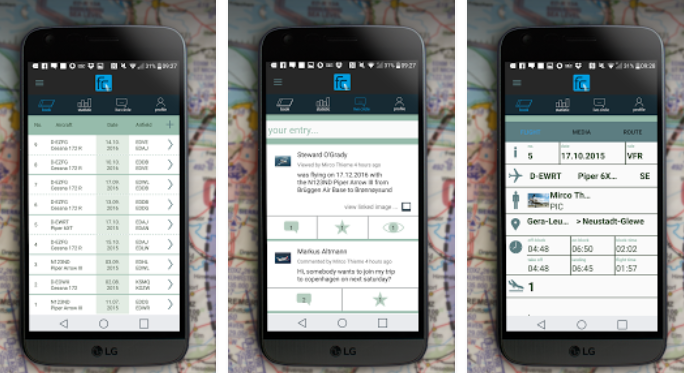 · The app displays the route map by the help of your flight entry. · It also allows you to track your flight statistics. · You can also share your flight recordings using different social media platforms like Facebook. Download it today free for your iOS and Android devices from the links present at the end of this review.